The Nobel Assembly at Karolinska Institutet has today decided to award The 2014 Nobel Prize in Physiology or Medicine with one half to John O´Keefe and the other half jointly to May-Britt Moser and Edvard I. Moser for their discoveries of cells that constitute a positioning system in the brain How do we know where we are? How can we find the way from one place to another? And how can we store this information in such a way that we can immediately find the way the next time we trace the same path? This year´s Nobel Laureates have discovered a positioning system, an “inner GPS” in the brain that makes it possible to orient ourselves in space, demonstrating a cellular basis for higher cognitive function. In 1971, John O´Keefe discovered the first component of this positioning system. He found that a type of nerve cell in an area of the brain called the hippocampus that was always activated when a rat was at a certain place in a room. Other nerve cells were activated when the rat was at other places. O´Keefe concluded that these “place cells” formed a map of the room. More than three decades later, in 2005, May-Britt and Edvard Moser discovered another key component of the brain’s positioning system. They identified another type of nerve cell, which they called “grid cells”, that generate a coordinate system and allow for precise positioning and pathfinding. Their subsequent research showed how place and grid cells make it possible to determine position and to navigate. The discoveries of John O´Keefe, May-Britt Moser and Edvard Moser have solved a problem that has occupied philosophers and scientists for centuries – how does the brain create a map of the space surrounding us and how can we navigate our way through a complex environment? John O’Keefe was born in 1939 in New York City, USA, and holds both American and British citizenships. He received his doctoral degree in physiological psychology from McGill University, Canada in 1967. After that, he moved to England for postdoctoral training at University College London. He has remained at University College and was appointed Professor of Cognitive Neuroscience in 1987. John O´Keefe is currently Director of the Sainsbury Wellcome Centre in Neural Circuits and Behaviour at University College London. May-Britt Moser was born in Fosnavåg, Norway in 1963 and is a Norwegian citizen. She studied psychology at the University of Oslo together with her future husband and co-Laureate Edvard Moser. She received her Ph.D. in neurophysiology in 1995. She was a postdoctoral fellow at the University of Edinburgh and subsequently a visiting scientist at University College London before moving to the Norwegian University of Science and Technology in Trondheim in 1996. May-Britt Moser was appointed Professor of Neuroscience in 2000 and is currently Director of the Centre for Neural Computation in Trondheim. Edvard I. Moser was born in born 1962 in Ålesund, Norway and has Norwegian citizenship. He obtained his Ph.D. in neurophysiology from the University of Oslo in 1995. He was a postdoctoral fellow together with his wife and co‐Laureate May‐Britt Moser, first at the University of Edinburgh and later a visiting scientist in John O´Keefe´s laboratory in London. In 1996 they moved to the Norwegian University of Science and Technology in Trondheim, where Edvard Moser became Professor in 1998. He is currently Director of the Kavli Institute for Systems Neuroscience in Trondheim. 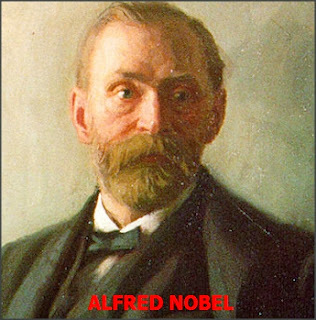 105 Nobel Prizes in Physiology or Medicine have been awarded between 1901 and 2014. 38 Medicine Prizes have been given to one Laureate only. 11 women have been awarded the Medicine Prize so far. 58 is the average age of the Nobel Laureates in Physiology or Medicine the year they were awarded the prize.